Certain laws fall within federal jurisdiction and others fall within provincial. For instance, Criminal law falls within the federal jurisdiction (Canada-wide) while employment, property and most of company law (although one can incorporate both provincially and federally) fall within the provincial sphere. Contract law and various statutes govern most commercial transactions, including employment. Understand in your own mind what it is that you are expecting to get from the transaction. Read carefully any agreement that you are required to sign. Do not take the word of any representative as to the contents or meaning of an agreement. Ask questions about the various provisions as often as necessary in order to satisfy yourself that you fully understand. Depending on the transaction, consult a lawyer before signing the agreement. Note in writing any objections that you may have to a particular provision in the agreement. Ask for amendments to the agreement, if changes are desired. Obtain a copy of any agreement that you have signed. Keep copy of any agreement signed, in a safe place. Walk away if you are not fully satisfied or comfortable. Many companies, especially in the furniture and appliance industry, advertise “no interest until….” What does this mean? Most people believe that it means that interest will not start to accrue until the advertised date. However, what it really means is that you will not pay interest until the advertised date. Therefore, if you do not pay for the items until after the date advertised (or if you have an outstanding balance) then all the interest, calculated from the date of purchase, will become payable. If purchasing furniture or appliances on these terms always clarify what “no interest until…” really means and ask for the explanation in writing. Once it is signed by the purchaser and the vendor and all conditions have been waived or satisfied then it becomes a binding contract. 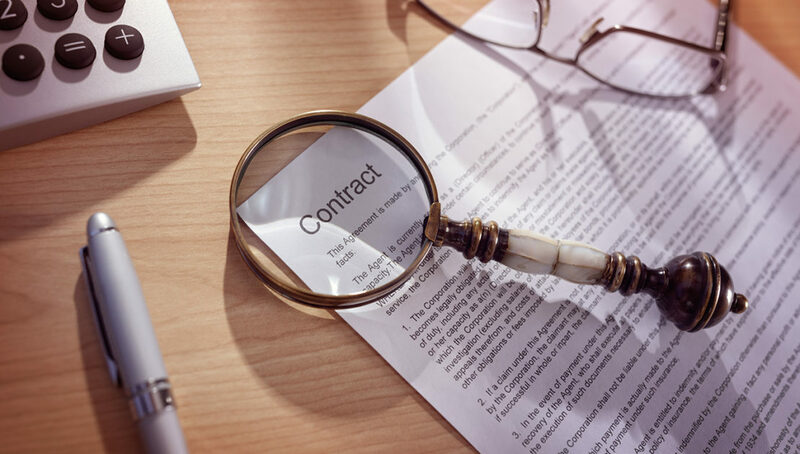 Two common and useful conditions usually included in agreements are the condition re: financing and the condition re: inspection. Another one that can be useful is making the agreement conditional upon the sale of an existing home. Do not waive conditions unless you are satisfied that it is no longer necessary. For example, if you waive the condition on obtaining financing because you are advised that to do so will make your offer more competitive, bear in mind that the agreement becomes binding regardless of whether or not you are actually able to obtain a loan. The Vendors still have the right to enforce the agreement, in such a case, and to sue you if you fail to close the transaction. Similarly if you waive the home inspection condition and discover that the house being purchased has defects then your ability to have them corrected by the vendor is seriously curtailed. It should be noted that an Exclusive Listing Agreement is an agreement between a home owner and a real estate broker whereby the owner agrees that the broker will have the exclusive right to list the property for sale within an agreed period of time. It is important to remember that if you list your property with another agent during the period of the agreement you may be liable to pay commission to the first agent as well. Read everything carefully, ask questions and contact a lawyer for advice.